Allergy Awareness Week is ran in conjunction with Allergy UK, a national charity providing support, information and advice for those living with allergic disease. In the UK, the number of people with allergies grows by 5% every year. There has been a significant increase to food intolerances, especially to foods such as wheat, dairy, eggs, gluten and corn. We all know the importance of declaring allergen information. 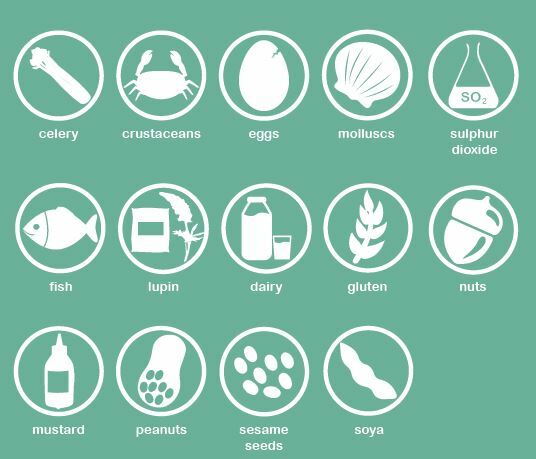 There are 14 major allergens which must be declared to customers. In March 2020, an establishment that serves food and drink to the end consumer, will have to advise calorie information at the point of choice. Also, they will need to declare ingredients and nutritional information at point of sale. We are here to help and support you in the task of managing this information. Our online platform, Erudus One, is a quick and easy tool to use. The system holds dietary, allergen and nutritional information for thousands of products. For more information on allergy, dietary and nutritional requirements visit our webpage. You will also find some handy documents to download from the Food Standards Agency. Allergy UK also have a wealth of resources online too! If you would like to speak with a member of our Quality Assurance team, please just get in touch on 01228 523474.